Every day, I tell myself, this is the best day of my life. Everyday, it just keeps getting better. Even the tough ones with tears, end with me feeling accomplished and excited for what comes next. After leaving Hart's Pass, we hiked hard and long in direct sun with little water. What a delight to find a flowing creek to bathe in, wash clothes and soak up some afternoon sun. We were somewhere after Mebee Pass in Okanogan National Park and entered the "Enchanted Forest." I have a new understanding for the beauty and delicacy of ferns. It was magical. It was gorgeous. Again, it felt like the most beautiful thing I had ever seen. We camped early and Julia built a small campfire. We both have been hiking stoveless and absolutely love it, but the best trail food to date was that hot quesadilla. As night fell, that magical forest transformed into the most terrifying pit of wilderness when we heard a wolf howl nearby in darkness. I don't care what anyone says, it was not a coyote, it was not an owl, IT WAS A WOLF and it was close. My trusty friend, the Ice Axe, did not leave my grip until sunrise. 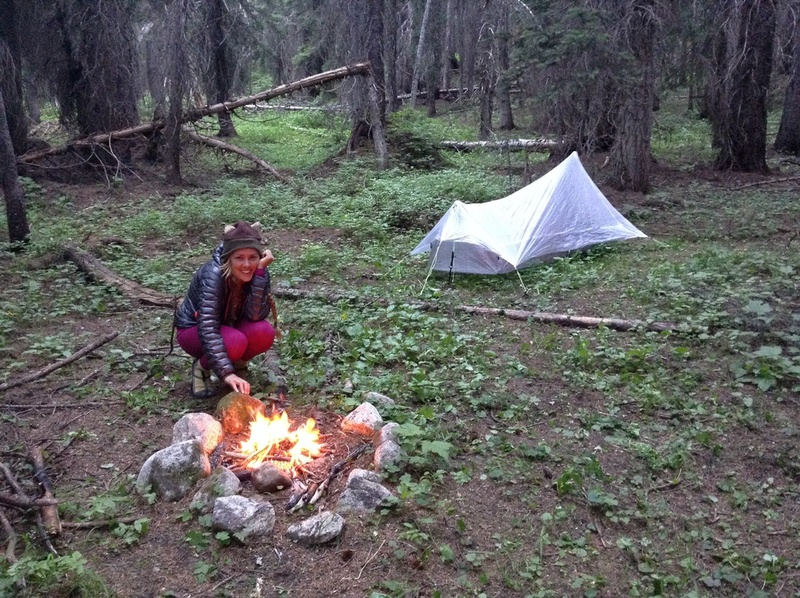 ice axe, YAMA Mountain Gear, campfire, Wolf, PCT, thru-hike, SOBO, Washington, Fear!! !